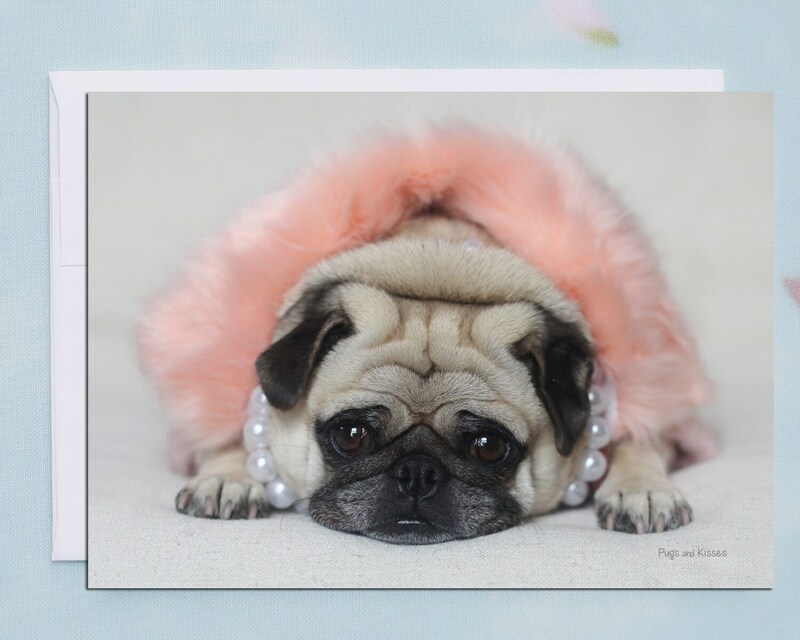 This item is one, "Pug in Peach," 5x7 blank greeting card, featuring the beautiful and very stylish, Mavis Louise. 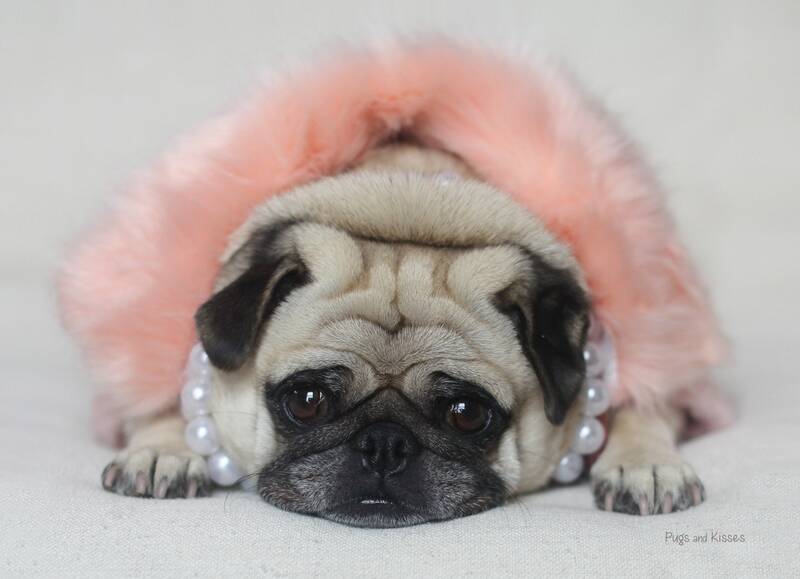 Her little face just melts us! 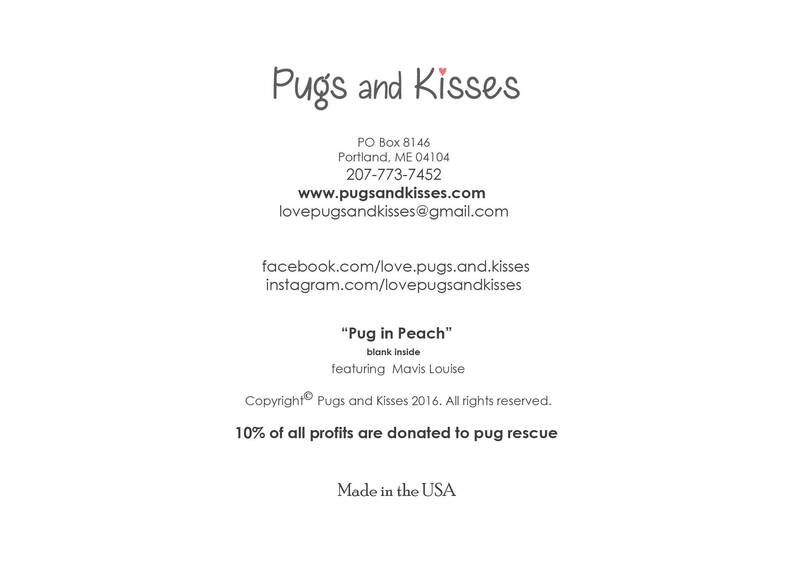 We are sure that this heartfelt pug will make the day of your "someone special."